Pocket Thedeal (5g American Ideal / Tuapeka Pocket by In The Pocket) won at Mildura on the 2nd April where he got away quickly but was posted out 3-wide initially until he could ease back and slot into the trail, where he enjoyed the trail throughout until reaching the end of the back straight the final time, he was able to ease out and across the back of three runners to go 4-wide around the final bend and finish best for a good win in a 1:58.2 Mile Rate for the 2190m journey to now have 10 wins & 14 placings for $75,320 – bred by Ryder Bloodstock Ltd. Popcorn Sutton (4h Sam Bourbon / Classic Armbro by Armbro Invasion) won at Shepparton on the 3rd April starting from the inside Front Line barrier, he led the 6-horse field, as they were content to leave him alone until turning for home, but he held all at bay to win, running his last 800m in 58.5 and the 400m in 28.7 of the 2190m journey, gaining his second win by 6.3m – bred by Breckon Farms Ltd. Forget The Price Tag (4g Majestic Son / Yankeedoosie by Muscles Yankee) won at Auckland on the 5th April where he started from the 10m Mark, but was slow away and settled in the running line 8 lengths from the leader, then with 500m to go he went forward and hit the lead around the final bend, going on for an easy 2½ length win to now have 4 wins & 6 placings for stakes of $55,703 – bred by Breckon Farms Ltd.
One Change (2c Bettor’s Delight / Changedown by Falcon Seelster) won at Addington also on the 5th April, drawing No.4 he dropped back at the start to have only two behind him, before getting the 1x1 with 1400m to go and into the home straight he flew down the outer to catch the favourite and win by a nose in the Group 2 Avon City Ford Welcome Stakes to now be 2-from-2 for $37,500 – bred by RG Carr & DG Kirkbride. 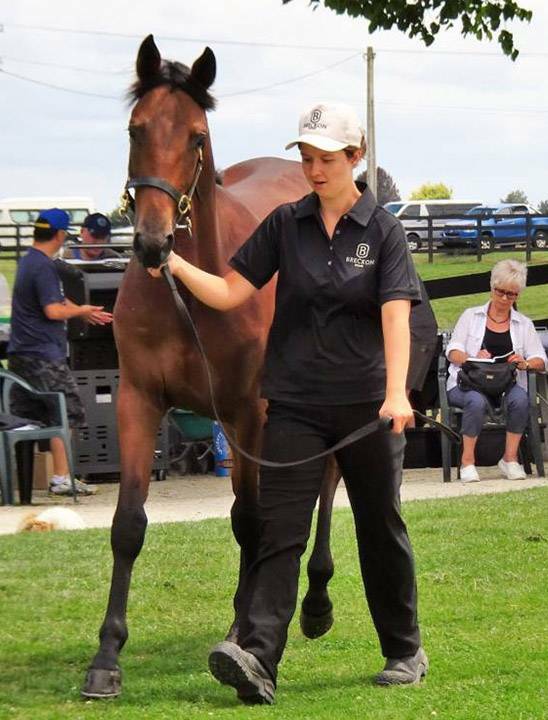 Placed horses this week were Vasari 2nd at Canberra, Zinny Mach 3rd, Flying Even Bettor 2nd in the Gr.2 Welcome Stakes both at Addington, Laredo Torpedo 2nd at Hobart, Lovin Miss Daisy 2nd and Cash N Flow 3rd both at Menangle, Tailored Elegance 3rd at Rangiora. Bronze Over 3rd at Yonkers Raceway, Kenrick 2nd at Yonkers Raceway, Rycroft 2nd at Northfield Park.